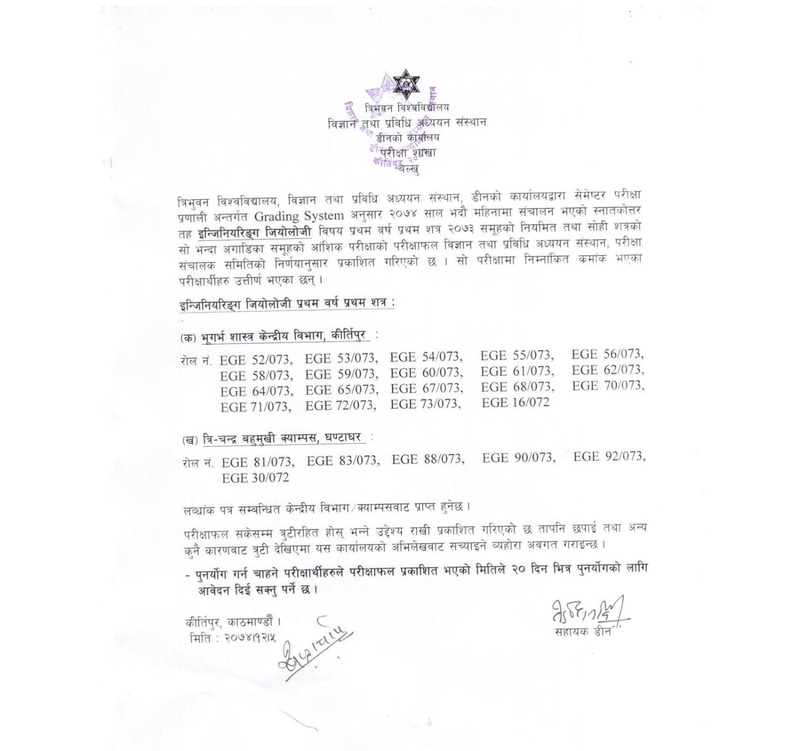 TU IOST published the result 5 Chaitra 2074 of M.Sc. Engineering Geology 1st Semester 2073 Group which was held on Bhadra 2074. 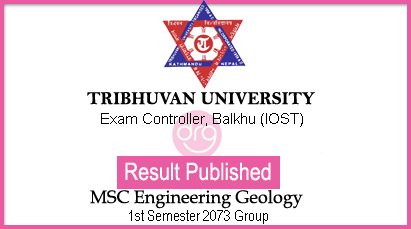 On 5 Chaitra, 2074 [19 March, 2018], Tribhuvan University (TU), Institute of Science and Technology (IOST), Office of the Controller of Examination, Balkhu has published the result of M.Sc. Engineering Geology 1st Semester 2073 group of the regular and partial examination. The examination was held on Bhadra 2074. 0 Response to "Check Result Of M.Sc. Engineering Geology 1st Semester 2073 Group | Held On Bhadra 2074 | TU-IOST"